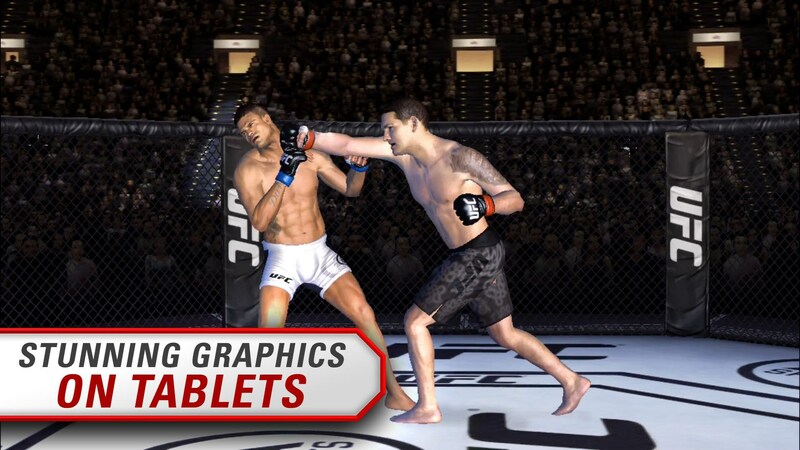 EA SPORTS UFC® – Games for Android 2018 – Free download. 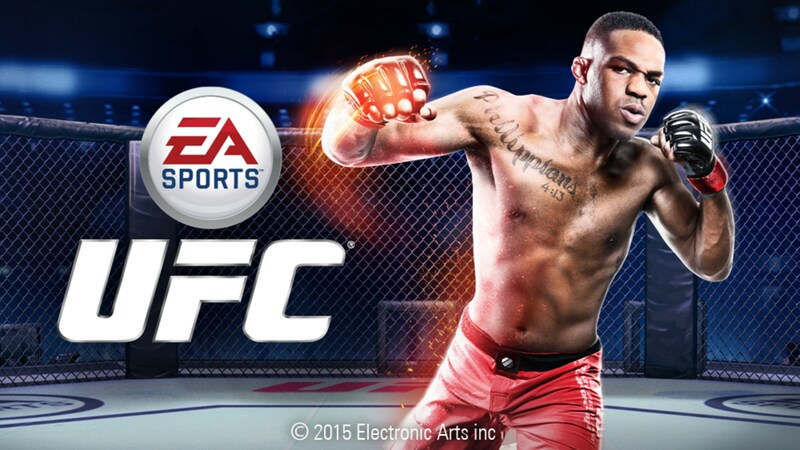 EA SPORTS UFC® – An impressive UFC mobile game. 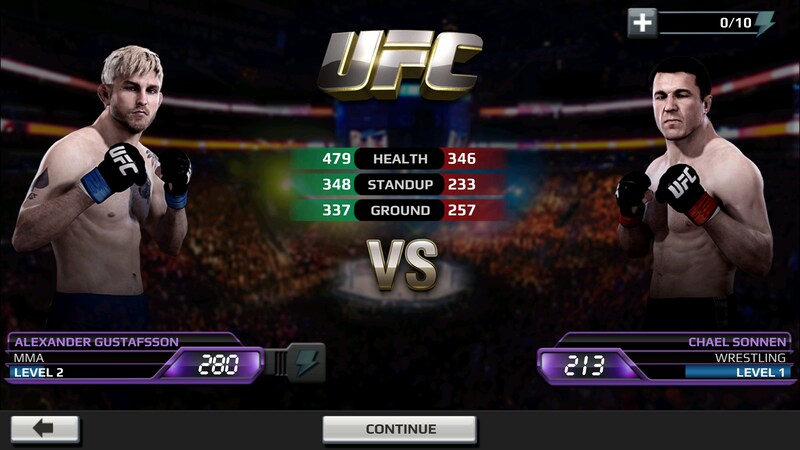 I’ll preface this by saying that I’m in no way a fan of UFC. 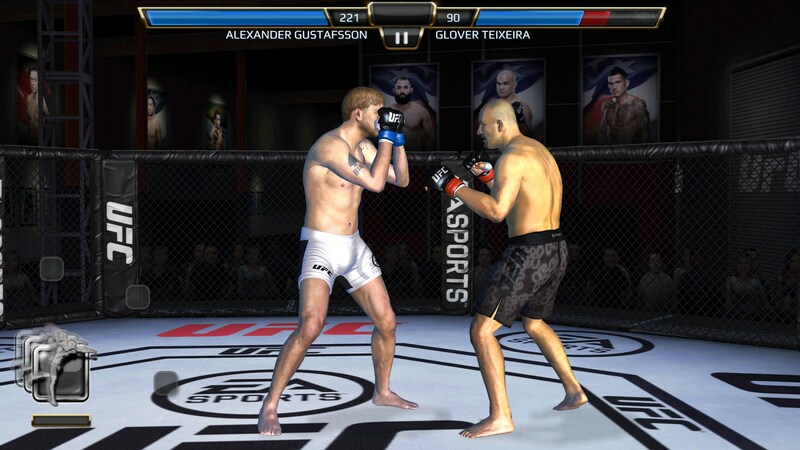 Something about two guys fooling around in their underwear just isn’t that appeal for me to watch, but EA Sports UFC for Android is a genuinely fun game to play regardless. 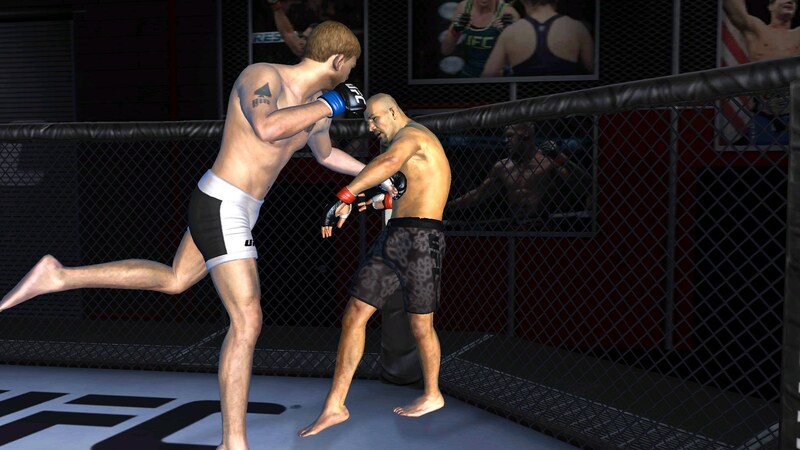 You’ll go from fight to fight training UFC fighters and building careers, so there is a bit of fighting and managing involved. The game’s tutorial teaches you how to fight which is where you’ll spend most of your time in the game but it fails to teach you what exactly you’re doing when you upgrade your character. You can train characters to have new moves and moves also build up stats, but it only briefly mentions it and the mechanic is a bit more in-depth than they give it credit for. For instance, moves I was upgrading would knock up my stats a bit but one seemingly innocent move knocked me up almost 100 stat points and made me grossly overpowered compared to the AI I was fighting and I have no idea why. The fighting is really fun and consists of a series of swipes and taps. Tapping on the right side lets you do a light attack, but you can also swipe for a stronger attack and swipe diagonally to perform uppercuts. Dodging and blocking are initiated in similar ways but you perform them on the left side of the screen. 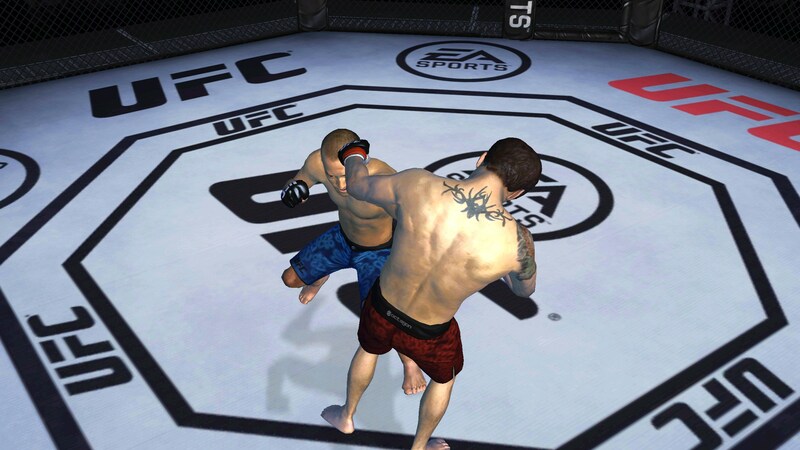 Combat is fast and fluid but sometimes I felt like gestures weren’t inputting correctly, especially when I had just performed a takedown. As you progress you’ll earn new moves and the ability to earn new fighters. 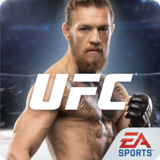 The new fighters take on completely new career paths and elongate the gameplay quite a bit, which was pretty surprising to me. 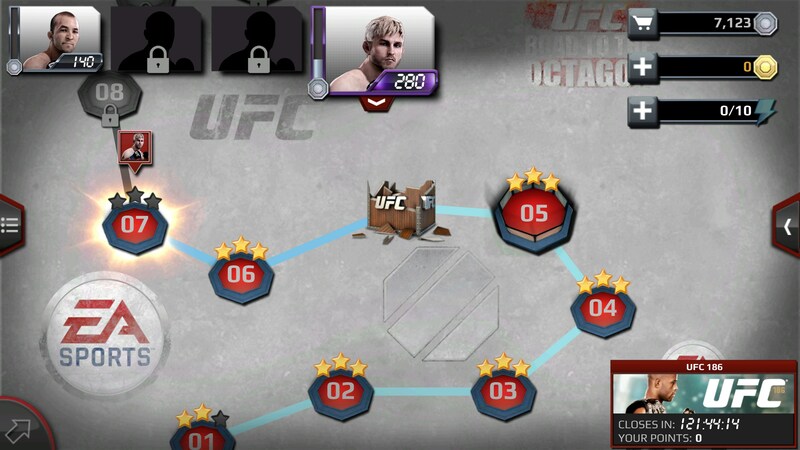 I figured I’d just start over from the first match, but nope! 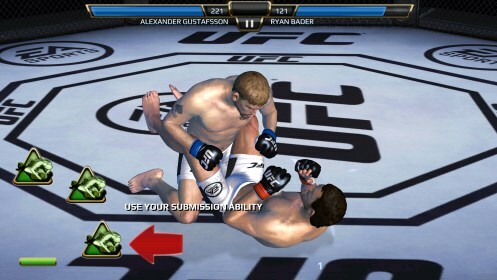 EA Sports UFC, surprisingly, gets my full seal of approval. The gameplay is fun and controls work (mostly). Even the content itself is really entertaining which was surprising. I was expecting it to be full of in-app purchases -- which do exist -- but there is nothing there to limit your ability to play and my progression always seemed to take on a steady pace.